Wait! I thought it was spring?! Mother nature is certainly having some change of plans in the state of Oregon, well, everywhere I guess. 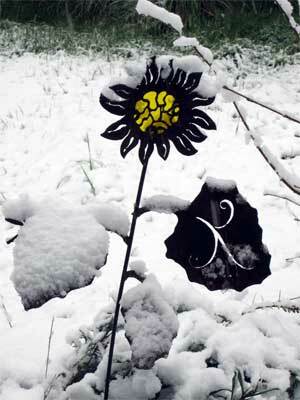 Today, being the second day of spring, we are accumulating snow. Yes, that’s right, SNOW! This is extremely unusual for our area and the last noticeable snow was on March 1st. Now it’s the 21st and we have 2.5″ on my deck and it’s still coming down as of 11:15 am. Other areas have accumulated much more: Eugene was sitting at 5″ in some areas, Corvallis & Tangent around 3″. I happened to pull out my trusty metal ruler (extremely accurate) and take several measurements on our nice open deck. I like to know the exact accumulation and not just guess. Here are some photos from earlier in the morning. 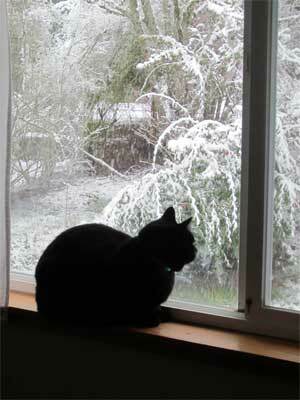 Nigel watching the white stuff fall. 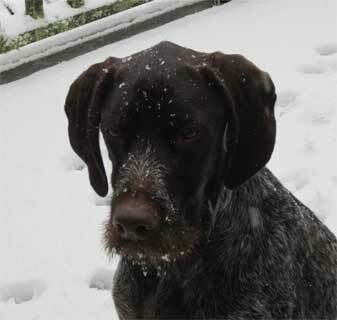 Moby waiting for me to toss a snowball. Snow on some yard art. 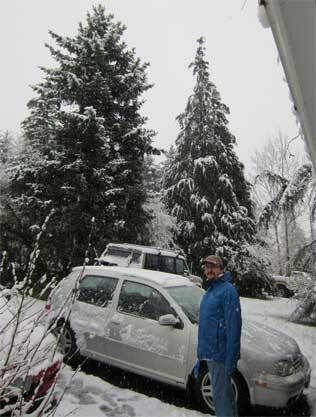 Dave getting ready to head out after cleaning off the car. 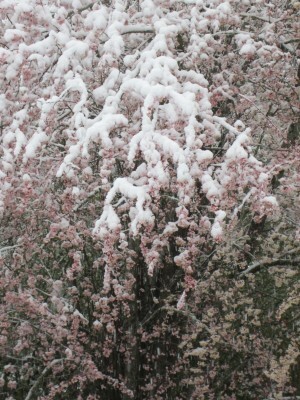 A shot of our plum tree (in bloom) with branches in white & pink. 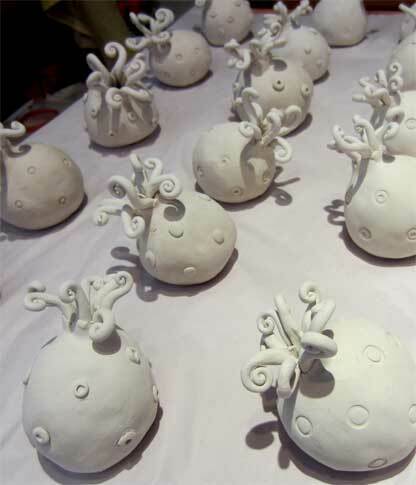 Ah yes, there are a few sea squirts almost fully dried and ready for their first blast of heat. Happy crazy spring to all! Wow. Pretty photos but the weather’s out of its mind. I see you’re working on your tide pool. Yep, squirts are slowly coming along. I’ve been a tad occupied with other things to keep up the momentum. Did Portland even get snow? It’s still going and almost 2pm. Crazy!